RENeW: He Took the Shortest Route to Get to Work at Brown University and That Involved Climbing a Stone Wall - Rest In Peace, Professor Martin Beckmann! He Took the Shortest Route to Get to Work at Brown University and That Involved Climbing a Stone Wall - Rest In Peace, Professor Martin Beckmann! The email came from his daughter on Thursday, saying that Professor Martin Beckmann, a renowned economist, regional scientist, transportation scientist, and operations researcher, had died two days previously, on April 11, at the age of 92. There would be an informal memorial service at his home in Providence, Rhode Island, on Saturday, April 15, also stated in his obituary. Immediately, and despite it being a three day holiday weekend in Massachusetts, my husband and I responded that we would be coming. I had written a tribute to Professor Beckmann, when he turned 90 years old, and had sent him a special card from Sweden, where I was spending time then as a Visiting Professor. Martin had been on my doctoral dissertation committee at Brown University and was the last surviving member, since my advisor, Stella Dafermos, had passed away at age 49, and the other committee member, George Majda, at age 51. 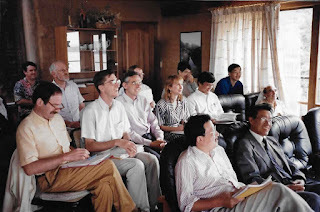 The news of his passing stunned me, and I communicated it to both the operations research and transportation science community and to the Regional Science Association International (RSAI) Fellows. The response was immediate and global in scale. I thank all those who replied with remarkable memories and anecdotes about this truly unique gentleman and scholar, whose impact, through his books and papers, his friendship and mentorship, and his joie de vivre, have left a legacy that will live on. 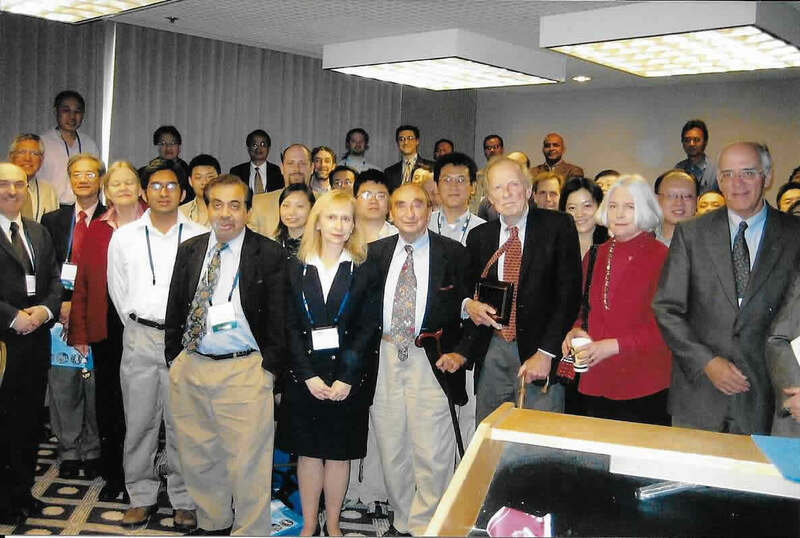 Martin Beckmann was recognized with numerous awards, including the Robert Herman Lifetime Achievement Award from the Transportation Science Section (now the Transportation Science & Logistics Society) of INFORMS. In 2005, at the INFORMS National Meeting in San Francisco, I organized two sessions honoring the 50th anniversary of the publication of his classic book, Studies in the Economics of Transportation, with C. Bart McGuire and Christopher B. Winsten (who had passed away). Beckmann and McGuire, and their spouses came, and then I treated a big group to lunch. We also presented the living authors with a special plaque from Yale University. More info, including presentations, can be viewed here. The photos below are from this event and you might be able to identify so many stars in transportation in the first photo below! David E. Boyce, Hani S. Mahmassani, and I wrote an article on the impact of that book. 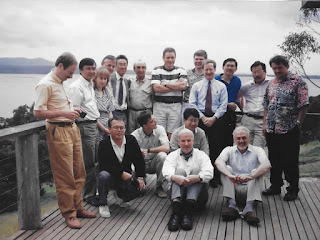 And, when my first book was published, Network Economics: A Variational Inequality Approach, I carried copies with me to a conference in Mallacootta, Australia, at which Martin was also an invited speaker. He caught that I missed a minus sign in my presentation, which took place at about 9PM, after we had been on a boat tour, and he was right! I thought that he had been napping. The photos below are from that amazing conference - and, yes, I was the only invited female to take part. 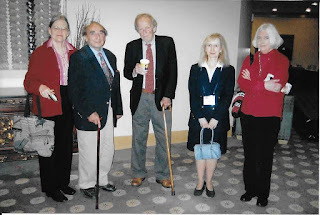 The last time that I saw Martin Beckmann was at a symposium at Northwestern University organized in his honor by Hani S. Mahmassani in January 2010. Below are photos from the symposium. 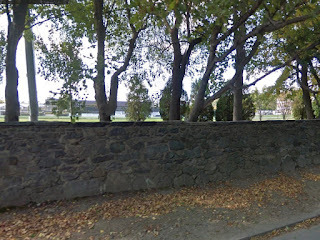 However, in the title of this blogpost is a stone wall. 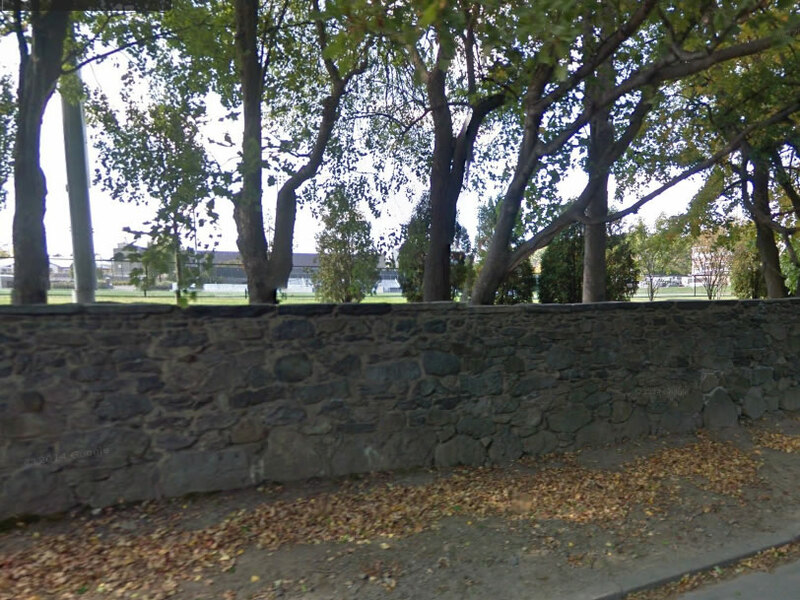 Below is the stone wall, in front of Martin's home in Providence that he climbed to get to work at the Economics Department at Brown University, and then hiked through the Aldrich-Dexter Field, since it was the shortest way to work (and back home again). His work on transportation network behavior, and location theory was fundamental, and has influenced both theory and practice. How fitting that Martin, who had been born in Germany and survived WW II, managed to optimize in both life and research. I will never forget what he taught me through his presence, his scholarship, and his incredible ability to enjoy travel, food, music, and people - wherever we met - in the US, in Europe (especially Sweden, and The Netherlands), and in Australia. The memorial service yesterday, at which I spoke with his son and three daughters, as well as grandchildren, and other relatives, childhood friends of his children, who, along with them, climbed the stone wall, and other structures at Brown University, and even multiple faculty of Brown University, from economists to a renowned biologist, was truly special. And I felt Martin's presence and even saw one of my professors from the economics department, from whom I took a grad class and got an A in. I recognized his eyes and smile. My dissertation advisor, Stella Dafermos, was born on April 14 and had died on April 4, 1990. Now I have added April 11, 2017 to my memory bank of a date on which the community lost another brilliant mind and personality.